An Interview With Dr. Andrew Wakefield: Why We Need Safe Vaccines Immediately — and How to Make it Happen | "Global Possibilities"
The question of vaccination has polarized parents across the U.S. and beyond for years. In one arena, parents feel it’s an absolute necessity to have children vaccinated, for the benefit of public good in stopping preventable diseases. These parents typically support the idea of mandatory vaccinations for all children. On the opposite side, you have parents who either care for their vaccine injured child or, through research, have serious reservations about vaccine safety. Adding to the complexity of the issue, many have lost faith in governmental health organizations to objectively inform the public on vaccine policy, benefits and side-effects, without conflicts of interest. 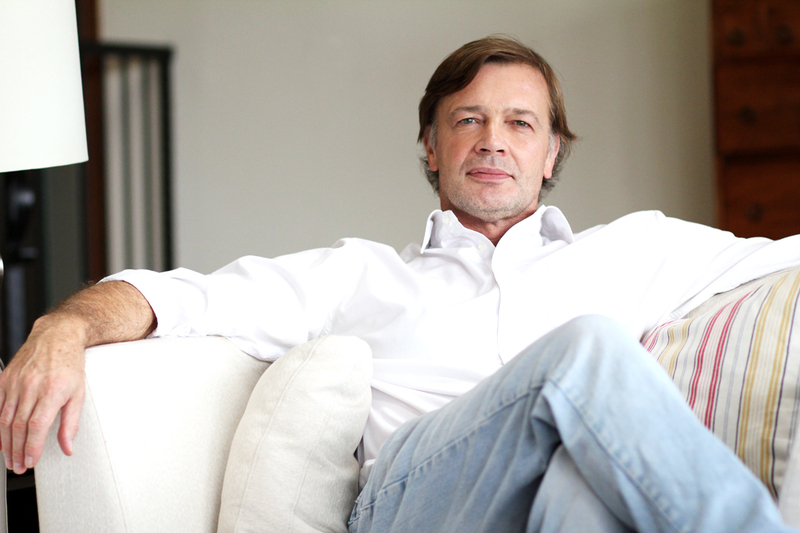 Dr. Andrew Wakefield is at the forefront of the debate after he received international media attention over his 1998 Lancet paper, which found a possible correlation between the MMR (measles, mumps and rubella) vaccine, inflammatory bowel disease and autism. He’s also the director of a new documentary, Vaxxed: From Cover-Up to Catastrophe. Dr. Wakefield joins Wake Up World to discuss what he believes needs to happen in order for vaccines to be rendered safe — and to restore public faith in vaccination science. Dr. Wakefield: “The first thing is that you need to stop the damage, and the second is you need to deal with the children who have been injured, in other words, in whom the damage has already been done. So there are two broad elements. Let’s just take the first element, and that is how do you stop the injury in the first place. You have to acknowledge it, and therefore you have to take the reins off science being conducted in the public interest. You have to give honest answers, and the CDC has now proven that they are absolutely incapable of doing that. “So the vaccine safety responsibilities have to be removed completely — not just from the CDC, but from Health and Human Services, which oversees the CDC. There has to be put into place an independent agency, that is able to give us honest answers about vaccine safety. The second thing is there needs to be an absolute moratorium on the introduction of new vaccines until this issue has been resolved. “Number three, there can be no vaccine mandates. You cannot mandate something for which there is risk, a big risk that has been fraudulently concealed by the very agency responsible for assessing and reporting on those risks. So all laws that seek to limit exemptions, or remove exemptions that are pending, or had been passed, need to be dealt, done away with. Then you need to start to treat vaccines just as you would pharmaceutical drugs, in terms of the rigor with which they go through scientific trials. They need to be subjected to long-term, double-blind, randomized, placebo control trials — which, at the moment, they’re not. “Let me just give you an example. Gardasil has gone through controlled trials where the control exposure is not saline, is not an innocuous substance, but is the aluminum adjuvant [contained] in the vaccine. Now, that is the very thing about which you’re concerned — it is a neurotoxin that is being injected into children. And [yet] the vaccine is being compared against the adjuvant in solution. That is madness. It is not a placebo control trial — that is comparing one toxin with another, and coming up with the equation that the mortality is the same in both groups. “It is the kind of thing that a new agency should never allow. I think what needs to happen, personally, in order to expose this fraud, is the individuals who committed it need to be brought to trial, and if found guilty, go to prison. What makes this so terrible, so unacceptable, is that the CDC were there specifically to protect the health of the children of this country, and were sworn to do so, and they did quite the opposite. And that makes it hypocritical, as well as abhorrent, in a scientific and medical context. “The next thing you need to do, among the many things, is medicine needs to start to trust the parent’s story. The parents were right from the beginning. This is the fundamental rule of clinical medicine and a lesson that needs to be relearned by today’s medical students, is that they have no arrogance — it has no place in medicine, although it pervades all medicine now in a terrible way, I think. My medical training was very, very different to medical training now, where we were taught to trust in the patient’s story or the story of the patient’s parents. No one knows the child better than his or her mother, and you need to listen to that story, and that the ultimate lesson of this tale for doctors and medical students, is that the parent’s story was absolutely right, and we failed to listen. “William Thompson has now come forward and concurred with that. And these parents had been ridiculed, and dismissed, and called anti-science, anti-vaccines and a number of insults, when they took their children religiously to be vaccinated on time, and they were reassured by their pediatrician that it was going to be fine, and of course, it wasn’t. “So medicine has a huge debt to really pay to these parents. So there are some things that can be done. The next thing to do is to deal with those children who have been injured, and there are a massive number of them. And one thing that we’ve come across with the film, is that vaccines and autism is just a small part of the damage done. And that has really been very, very disturbing for us all in the Q&As and talking to parents. We are looking just at a fraction of the body count, if you like, of this process. “So we need to acknowledge that damage, and we need to invest a very, very large amount of money that is due, to conduct proper science, to look at new treatments, new ways of helping, new biological insights into the mechanism of disease in these children, how to reduce it, how to improve the quality of their lives, and how to compensate them. Because of course, when their parents become infirm or dying, then they are left to die on the street. There is nothing for them. There is no system in place. They never anticipated this tsunami of neurodevelopmental disorder. So there’s a lot to be done. The next government has an absolute responsibility to put both sides of that equation on an even cue. And it’s difficult to see how that is going to happen if you refuse to acknowledge the problem in the first place. Dr. Wakefield: “Yes, the pharmaceutical industry has really acted in a very, very deliberate and calculated way, over a very long period, and they have now set about, in terms of control, taking the reins of medical publishing, of undergraduate and postgraduate medical and nursing training, of the media, of politicians, of public servants, and doctors, and we’ve all become, in many ways, beholden to this industry. “It’s something I simply refuse to do, which is why I guess I never really fit in. And it’s so insidious, and it’s so well thought out, so attractive in so many ways financially to these various industries. For example, Reagan signed into law this direct consumer advertising where drug companies are allowed to advertise their drugs in the media. It’s an extraordinary situation. The only other country in which it happens is New Zealand, and it will not — and should not — be allowed in European countries. It should never have been allowed in America. “The problem with that is they have the funding available to them to pay top dollar to the networks to buy those ads or ad space. And then those networks become dependent on that income. You know how it is. You’ve got your offices and your employees, and suddenly your infrastructure is dependent upon a certain level of income, and you’re reluctant to lose that. So the process continues. And you are then owed by the industry. So they’ve been very, very clever. Of course, you don’t have to be too clever if you’ve got a lot of money, you spend a lot of money. To learn more about Dr. Wakefield and his work, please read the article “The Doctor Behind Autism MMR Vaccine Controversy Speaks Out”. For information about the CDC cover-up regarding an association between autism and the MMR vaccine, see here. Additionally, a range of articles about the history of, and issues concerning vaccines, can be found here.